Taken in Stonetown, Zanzibar. 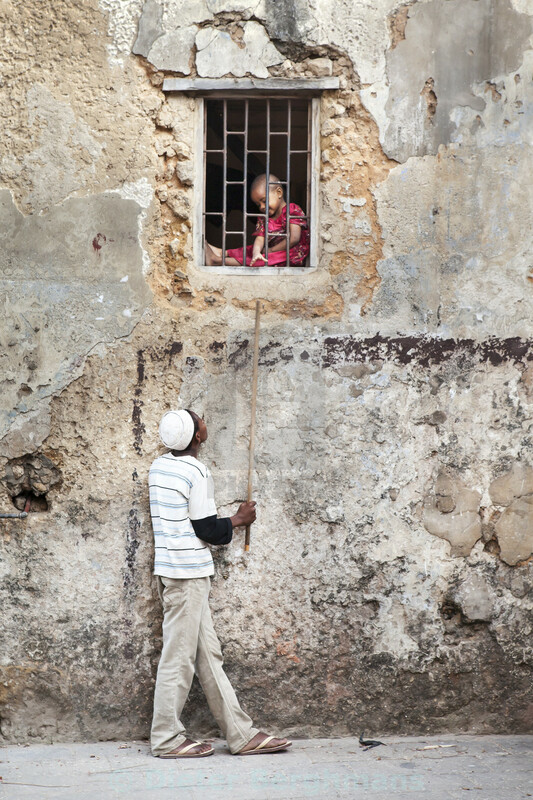 While roaming the very old but picturesque small streets of Stonetown, I came across these two kids playing with each other. It was very powerful to see this young kid sitting behind the bars, playing with the older boy on the street.